An addiction to online gambling can cause enormous financial and emotional hardship, both for the gambler and for their friends and family. By its very nature, online gambling can pose an even greater threat to mental and financial health. Gambling in a casino or even at a VLT in a bar, means that the gambler has to be physically present in the establishment. Chances are friends and family will be aware that the person is out gambling (or at least they’d be alerted to the red flag that they aren’t at home), but that same accountability isn’t necessary with online gambling. “Gambling online gives the problem gambler the ability to hide their actions more easily, which means that there is less accountability for their actions until their luck runs out,” says Jeff Schwartz, executive director, Consolidated Credit Counseling Services of Canada. Online gamblers are sidestepping measures that casinos take to help curb problem gambling. Casino staff are trained to spot problem gamblers and can intervene or even ban them from the premises, which isn’t done with online gambling. They can also limit access to alcohol, which can impair judgement about bets for the gambler, none of which is able to be done in the online environment; all are good reasons why it is so dangerous. With any addiction, the best strategy to kicking the habit is to physically avoid areas, objects and places that will tempt you to indulge. For example, an alcoholic would avoid going to a bar. For the online gambler though, access to this vice is available at every turn in daily life with tools that you use for work and at home- like your smartphone and your computer. “When you are in the casino or at the racetrack, you’ve got to withdraw money in order to place your bets as well as interact with cashiers for chips, etc. In theory, you can still access credit, but there are extra steps to take, which could potentially act as a deterrent. The online gambler operates in a virtual cash environment, where it is even more difficult to set limits,” says Schwartz. When gambling online, bank account and credit cards are very easily accessed right then and there with the click of your mouse, which is dangerous when it comes to impulse betting, or “chasing losses”. It’s hard to fully grasp the concept of how much you are losing when you are operating in an online environment with “e-cash”. 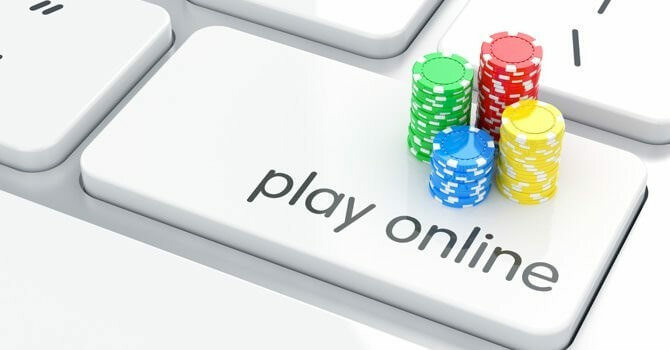 Unfortunately, online gambling is becoming very popular among teens, which means that they are adopting bad financial habits and toying with addiction at a dangerously young age. Many online gambling sites are designed to mimic interfaces of video games, which lures kids in. It’s hard for online sites to truly vet players and verify ages, making this a real problem. Beating an online gambling addiction is challenging, but it can be done. The first step is to recognize and admit that you have a problem. This is the base for your accountability, which is what will ultimately help you kick the habit. Next, you need to seek support from someone you trust, your doctor or through community resources. Has your luck run out and now you are grabbling with a mountain of debt? The first step towards getting on track is developing a plan on how you can pay your gambling debt down. Call one of our trained credit counsellors at 1-888-294-3130 or get started with our online debt analysis.